Perennial Favorite – This is the book I gift almost every year. It’s the book I read over and over. It’s the book I want the world to read. King Arthur, Merlin, Lancelot, and a perfect, tragic exploration of humanity. The world's greatest fantasy classic is "richly imagined and unfailingly eloquent and entertaining" ("Booklist"). "The Once and Future King" is T.H. 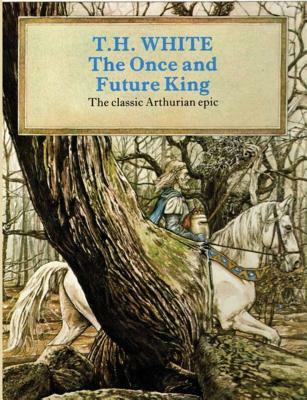 White's masterful retelling of the saga of King Arthur, a fantasy classic as legendary as Excalibur and Camelot, and a poignant story of adventure, romance, and magic that has enchanted readers for generations. T.H. White was born in Bombay, India in 1906. He began to write after graduating with distinction from Queen's College, Cambridge. In 1938, he published "The Sword in the Stone," the first volume in what would become his epic retelling of Arthurian legends, "The Once and Future King."